Airport security friendly protective laptop compartment. Dual side water bottle/accessory holders. 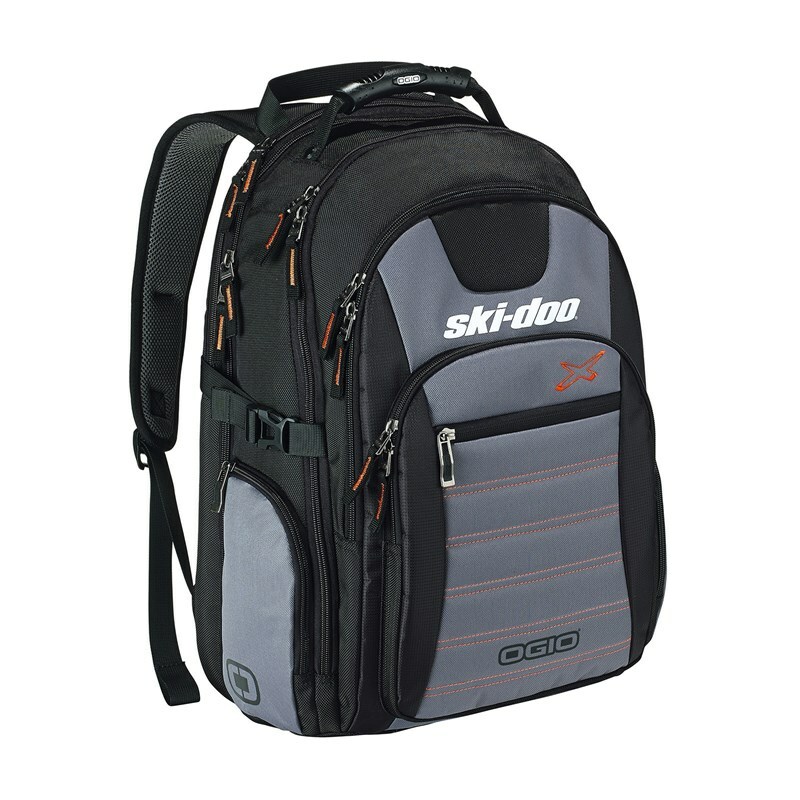 Fully adjustable ergonomic shoulder straps. Front pocket with two padded accessory compartments and slip pocket. 19.5"H x 13.5" W x 9.5" D.
(50 cm x 34 cm x 24 cm). Weight: 3 lbs (1.4 kg). Laptop sleeve 16.5" H x 11" W x 1.5" D (42 cm x 28 cm x 4 cm). 600 deniers Oxford Polyester, 420 deniers Dobby Polyester.